Peace Advocacy Network has been running highly successful Vegan Pledge programs across the United States since 2010. 2017 was the first year that this organization took their Pledge to New Orleans, where it was well-received and gave advocates with a great opportunity to establish a local network. All event attendees were non-vegan. Most were undergraduate students from the local university, and at least 50 percent committed to going fully vegan after completing the program. PAN addresses both the cruelty-free and eco-friendly aspects of vegan living in their vegan pledge programs. To comply with the organization’s ethics standards, PAN boosted the environmental impact of the pledge — they sourced 40 reusable cups and used no plastic flatware. The organizers acquired event space at Tulane University free of charge. The venue included a demo kitchen that seated up to 50 people and a communal social area with a large TV. Thirty-six people signed up for this event, and 28 of those attended the first session. The event required 24 vegan mentors, all of whom were volunteers. Vegan activists spoke briefly with each of the participants via phone before the Pledge started. Approximately 50% of sign-ups came from people who saw the Pledge flyers in restaurants, cafés, and on the university campus. The other 50% learned of it through social media. The organizers held five weekly events, each running for three hours on weekends over a one-month period. These weekly sessions emphasized the practical aspects of adopting a vegan diet. Week one included an introduction to the Vegan Pledge, an opportunity for pledges to meet their mentors and taste a variety of meat and dairy substitutes, including many varieties of Daiya and Chao vegan cheeses, So Delicious ice cream, Gardein-brand vegan burgers, and chickenless nuggets. Participants then spoke in small groups about their motivations for taking the Pledge and the biggest challenges they anticipated. This session ended with signing pledges to eat vegan for the month and receiving goodie bags with vegan treats, coupons, leaflets, and a pack with information that included starter recipes and a list of vegan-friendly eateries in New Orleans. Week two: The area’s Whole Foods Market kindly agreed to give pledge participants a tour of their vegan options along with delicious food samples. 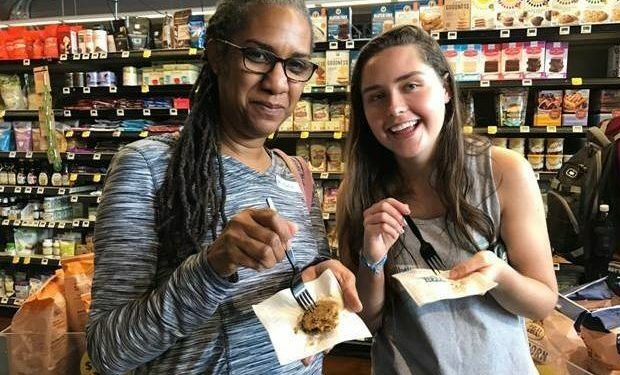 After the tour, participants browsed the store in small groups accompanied by a vegan mentor and discussed food shopping and meal ideas. A full-group discussion followed on the topic of reading food labels and non-vegan ingredients. Week three held a vegan cooking demonstration and nutrition talk. The cooking demonstration showed the pledges how to make an exciting, healthy, but simple, meal and included a Q&A about cooking in general, making plant-based substitutions, and meal preparation. This session concluded with an overview of vegan nutrition and common questions, such as how to get enough protein, iron, B12, etc. Week four: This week focused on ethics. Pledges enjoyed a Japanese rice dish and some treats as they watched a documentary called Vegan: Everyday Stories, which follows individuals on their journey to veganism. Participants then rotated through stations to learn about and discuss the realities of various industries: milk, meat, honey, eggs, and seafood. Week five: The final event was a potluck and a discussion about the pledges’ experience in this program, and, moving forward, how to deal with the challenges of living as a vegan in a non-vegan world. There were some great discussions, and we were really pleased with the enthusiasm from the group! Many people thanked us for sharing this information and mentioned that this would change the way they viewed these products moving forward. 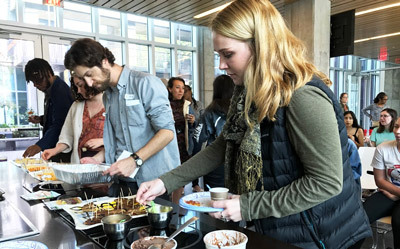 This Vegan Pledge took 30 participants, most of whom were undergraduates from the university where the event was hosted, on a one-month vegan journey, from start to finish, providing them with all of the tools needed to carry on living vegan. At least 50% of pledges committed to continuing with a plant-based diet after completion of the 30-day pledge, with the rest planning to continue with the positive steps they made during the month towards the reducing consumption and use of animal products. At the end, we felt that we’d built a great community of people supporting each other through this change, and many people thanked us for our efforts and for supporting them on their journey. PAN (and other vegan activists and organizations) are now in a good position to run another pledge or other type of vegan activity in the near future as a result of establishing of a solid network of contacts through this event. Tulane University offers an excellent event venue for this type of vegan outreach activity. The return on investment from this event was excellent. The total cost of the pledge was $521.21. Of that total, $379.27 was spent on vegan food for the Saturday events, $123.01 was spent on printing costs, and $18.93 was spent on other supplies, e.g., cooking and serving equipment. Considering that about 30 people were directly exposed to veganism at length and that at least 15 expressed a commitment to eat 100% vegan going forward (or significantly reduce their consumption of animal products), we consider this an excellent return on investment. In the future, the program could be run at even lower cost if plant-based food companies were persuaded to donate products to the Pledge. Events such as this Pledge are excellent marketing opportunities for these companies because their products are showcased to their ideal target market. Pledge events like this one are a great way to introduce people to vegan living in a fully supportive and practical setting. They offer participants the opportunity to interact with others face-to-face and even to form friendships, providing new vegans with a community from the get-go. The social issues associated with big changes to a person's values and diet can be daunting, so events that provide people with the opportunity to make connections with others on a similar journey are reassuring and encouraging. 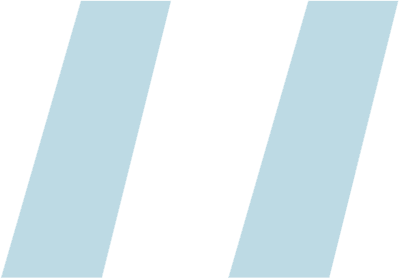 Ready to apply for a Learning Events grant?